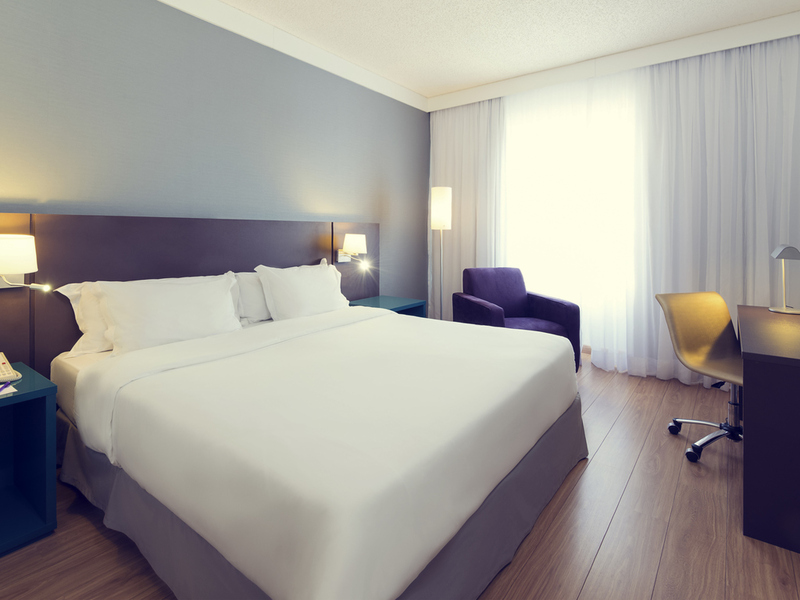 The Mercure São José dos Campos is located in the most upmarket area of the city, 219 yards from the Colinas shopping center, 0.6 miles from the charming Vicentina Aranha Park and offers easy access to all of the city's main hot spots. The hotel is 0.6 miles from the Via Dutra highway and access to the roads that lead to the beaches on the north coast and Campos do Jordão. Take advantage of the comprehensive facilities, including a fitness center, pool, 4 room categories, bar, restaurant and events rooms. Superior Apartment (215 sq. ft./20 m²), double bed, TV, air conditioning and hairdryer in the bathroom. Superior Apartment (215 sq. ft./20 m²), twin beds, TV, air conditioning and hairdryer in the bathroom. Bra Internet och bra rum. Rummet var lite gammalt o slitet. Visserligen rent men tycker inte om att taket är fuktskadade och droppar vatten. Annars bra service, bra frukost.